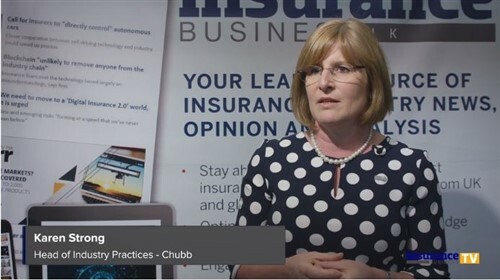 Insurance broker and risk management solutions provider Marsh has been operating in New Zealand since 1958 and maintains over 250 New Zealand staff across 10 offices, as of February 2019. Marsh is a wholly owned subsidiary of Marsh & McLennan Companies, a global professional services firm headquartered in New York City and specialising in risk management, reinsurance services and investment and management consulting. It has an annual revenue of over US$14 billion and employs almost 65,000 staff globally. Marsh has existed under the name Marsh & McLennan Companies since 1871, and has been ‘a pioneer in risk and insurance services for over 130 years.’ The firm was among the first to introduce the concept of an insurance broker purchasing insurance policies on behalf of clients, rather than selling them on. Being the first insurance broker to send risk experts to the aftermath of a catastrophe site – San Francisco, in the aftermath of the 1906 earthquake. Today, the firm is highly involved in using catastrophe modelling techniques to evaluate catastrophe risk. Arranging the first ‘space-bound’ life insurance coverage for Mercury astronauts. Developing a range of merger and acquisition-focused products which cover tax opinions, representations and warranties and litigation buyouts. Marsh partners with clients to address their individual risk management and insurance needs. With specialties across a broad range of industries, the firm hands every relationship to a client executive who uses their resources to help analyse, measure and manage that client’s risks. “Define risks and opportunities by understanding your business, and identifying, quantifying, and gauging your tolerance for risk. We then determine what and how much risk to manage, mitigate, or transfer. The firm also offers a solution called the Marsh Analytics Platform (MAP), which allows clients access to data, analytics and technology to help quantify and manage their risk financing. The product is backed by Marsh’s global loss database, along with its worldwide team of experts. Marsh compiles a number of surveys and reports each year assessing trends and risks across various countries and industry sectors, offering insight to businesses and industry professionals on how various threats might impact their operations. Recent publications include its Directors Risk Survey Report 2018, which collaborated with the Institute of Directors to assess the top risks for New Zealand’s boards and directors. The survey highlighted cyber risks, IT and talent attraction as key concerns, as well as reputational risks and disruption caused by natural catastrophes. This was followed by its Global Maritime Issues Monitor 2018, which looked at responses from senior stakeholders across 50 countries on issues affecting the maritime industry, and its Survey of Risk 2018, which highlighted the amount of New Zealand businesses with no plans or procedures in place to address various risks. Marsh has also undertaken research into issues including terrorism, transactional risks, cyber risk management and recovery, and climate change. John Doyle is the president and CEO of Marsh, overseeing its brokerage and underwriting, digital technology and consulting practices. He took on the role in July 2017, having joined Marsh following a 30 year career at AIG, where he held various executive positions. Marsh’s CSR programme was launched in August 2010. Key initiatives include volunteer support days, where an individual can take one day of voluntary leave per year to support charitable activities; emergency services leave, which allows five paid days leave to attend training or a callout for a recognised Emergency Service Organisation; and the workplace giving programme, in which any employee donations to a recognised charity will be matched by Marsh up to $1,000 per colleague per annum. In 2015, Marsh raised over $51,000 for a range of charities, having undertaken over 1,200 volunteer hours across New Zealand. A week after his surprise departure from a major broker player, this chief executive’s new role has been unveiled. The CEO of the NZ branch of this key player has quit the company and a new boss has been appointed as an interim replacement. This broker heavyweight is pushing the South Island as a key growth location, and has poached a 30 year industry veteran from another broker to do the job. This major broker’s bid to improve Maori cultural awareness within its ranks has led to a trailblazing collaboration to provide marae cover, as well as sparking a surprising passion.